When Diane utters "Let's Rock!" I find her finger position to be rather suggestive. 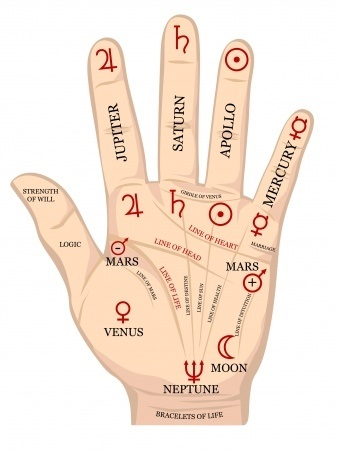 In regards to the conjunction of Saturn and Jupiter, I believe her hand has relevance to the Black Lodge. Observe the pictures. Oh my gosh! That's super cool! That can't be a mistake! Thanks so much for pointing that out. Douglas Jones moved like a cobra! Out for revenge against Mr. C, look at her eyes...I am betting she would turn over Cole et al. to get this chance and this is probably why she was first working with Mr. C, to bring Cole et al to them in order to enact some plan of revenge against Mr. C. But she has begun to calm down since smoking outside of the morgue and remembering old time, allowed to smoke inside by MacLay, and bartender gave her a drink after closing(feels like she is getting paid for 'unpaid work', like Criskol)....being around Cole, Albert, Tammy et al and seeing how they act, treat her fair, etc., is making her question her old ways somewhat, one can get the feeling sometimes that she is thinking 'what about this 'way of life', these people are not so bad like the ones im usually around', or something to that effect. I think is changing her mind somewhat, or at least bringing her away from her old destructive habits, signaled when her iphone shut down, she had to do something else, wasnt plugged into digital network, had to think for once and figure something out, instead of being flooded in with constant immersion(notice how Jerry(who said, 'you cant fool me') escapes from the woods when Diane is begining to think and figure things out, also sarah palmer not tricked by the 'new jerky', its not like the old, she has seen it play out, kids in for trouble), and maybe this can open the space for some exercise of freedom. "Let's rock" is also the first thing we ever hear the dancing man in the red room say. I'm assuming this means Diane is associated with him, or that this is a doppelgänger Diane or something of that nature. Let's Rock is the written on the car Cooper sees when looking for Desmond so she knows the phrase from tapes at the least. Cool tidbit. The gesture and phrase are surely no accident. My main hope is that we find out the nature of her relationship to Mr. C before the season ends. Since we can't be sure there'll be a 4th. I don't believe that it's insignificant but I doubt it's got anything to do with Saturn and Jupiter. It seems more likely that it's the same kind of code that Lil used to brief Special Agent Desmond. I could surmise that Diane would have been briefed on this code system in order to communicate between the Bureau and cooper and vice versa. She was complicit in the dissemination of information in the blue rose project. I feel that they deputized her so that they could intercept her communications legally. I belive it is no coincidence that soon after the deputization they spy on her. They are using her to lure Evil C, they let her see the classified picture of the co-ordinates which she memorized. And which Evil C wants. Everyone is being drawn to the Briggs bunker in Twin Peaks. Cannonball Run style! Anybody else notice that the symbol for Mercury looks surprisingly like the Experiment's head… Combined with the woman symbol? it might just be an aesthetic echo, but it makes me wonder if there might be something to the movement/position of Mercury as well, in the whole scheme(s) of things. I like that Cole punctuates her Let's Rock finger "salute" with a fist knock on the table. He might have thought he heard her say, "Let's Knock", but why would anyone say that in this context? Knocking on wood to keep away the evil spirits. With this bunch, it could be either. Desmond was last seen at the Fat Trout when he picks up the owl ring from under a trailer, right? Does the film then immediately cut to Philadelphia with the Cooper/Jeffries scene? Or is "Let's Rock" seen on Desmond's car? And for some reason, I have an image of a body falling through that windshield and smashing it, but I think I must be getting that from another movie. I can't watch FWWM right now, but i've gotta know!! Ah, thanks! I don't even remember any scenes with Cooper outside of the FBI office. I think I need to watch the film again.